For a mid to higher end turbo trainer the Qubo digital is a great piece of kit. It is an ANT encoded, electronically-adjusted magnetic braking system that is controlled via a digital control unit. This control unit is completely wireless. You have fine control over your performance and workout, and everything is monitored so you can review your progress. The Qubo digital is developed by one of the leading turbo trainer manufacturers, Elite, and it is based on the new Qubo frame. This frame offers increased stability due to its wider base and lower mounting. 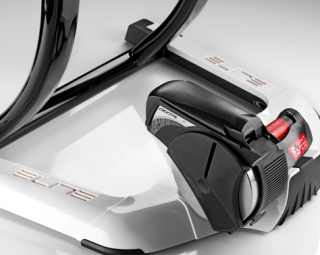 There are 16 levels of resistance that can be adjusted with the control unit, and the Qubo digital bike trainer has low levels of noise and vibration. 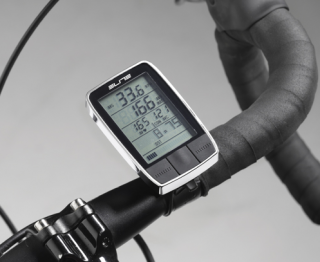 The control unit has a large display and is handlebar mounted, providing clear and useful workout metrics such as speed, heart rate, cadence, power, workout time, and even training heart rate zones. 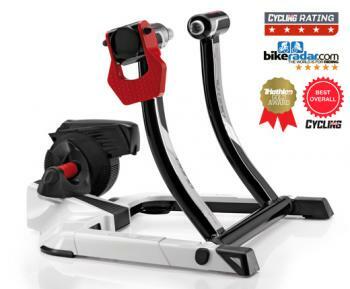 The Elite Qubo Digital turbo trainer has got top ratings across all the major cycling media, and is also compatible with Elite's App for extra training programs and analysis.